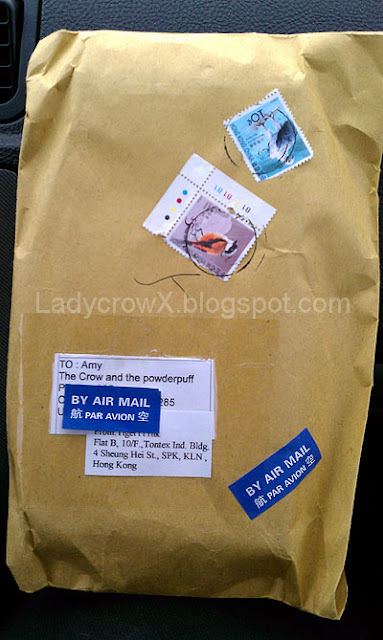 The Crow and the Powderpuff | A Creative Makeup & Beauty Blog: KKcenterHK Lashes, Hair Extensions, and more oh my! KKcenterHK Lashes, Hair Extensions, and more oh my! I was contacted by Maggie a PR at KKcenterHK asking if I would like to do a review for them. I am not very good at applying false lashes... well to the extent that I can do them quickly, but I figured what the heck I need to get better at it! 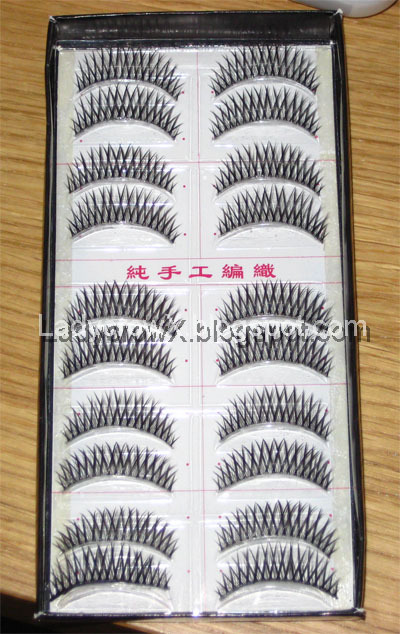 I picked out a box of lashes ES A24 to be exact, the website price for them is $5.40 and you get 10 pairs. They also have several other products ranging from Hair extensions to Shoes. Shipping: ranges from $2.50 up to $17.87 depending on if you want a tracking # and/or express mail. 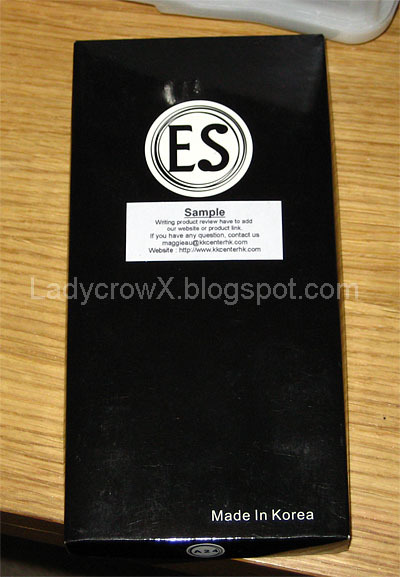 Packaging: nothing special about it just standard packaging, nothing was messed up though and the lashes were intact. Product: I really like the eyelashes, I had no issues applying them and I will definitely use them and they looked good on. I like they fact they have a lot of selection. great great haul. love those lashes. so pretty.